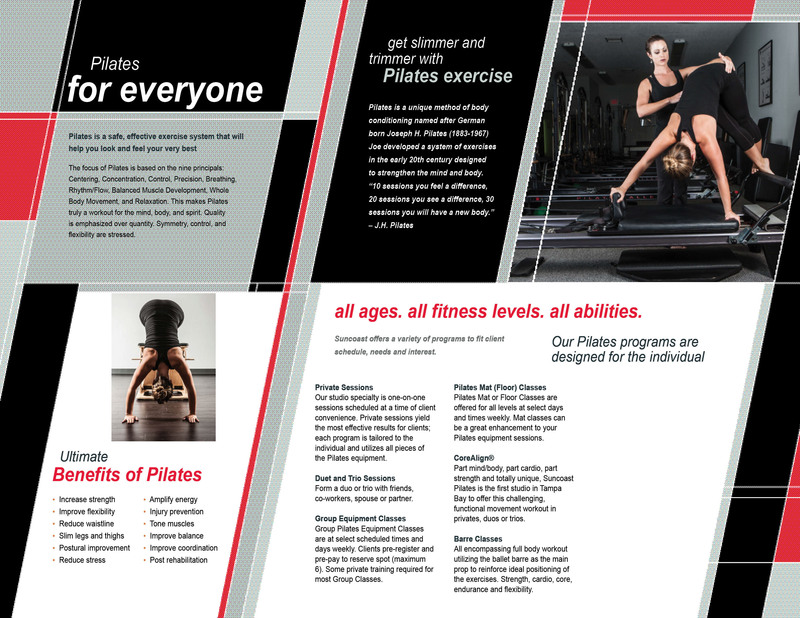 Trifold brochure for client, Suncost Pilates. Photos were taken by a professional photographer. 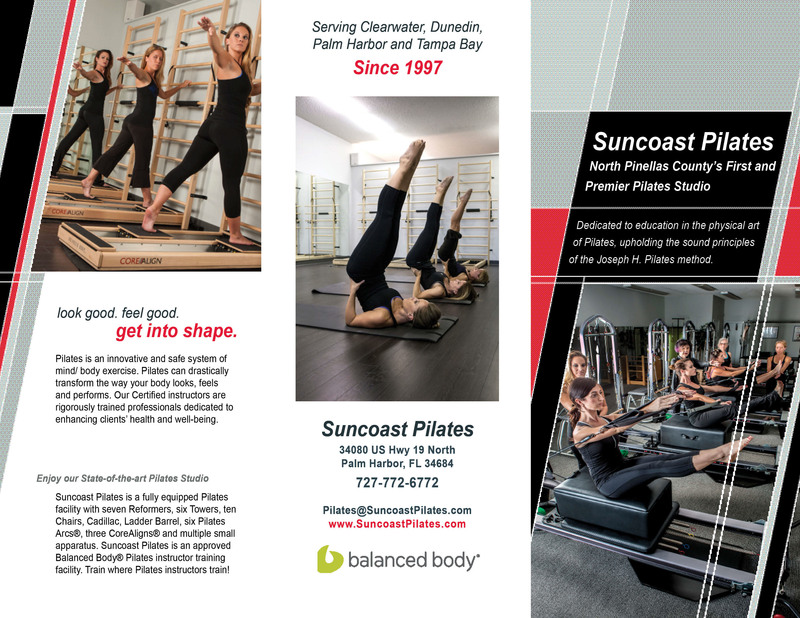 Colors reflect the branding of the Suncoast Pilates website and other marketing materials that I designed.